Who Owns the Water? WSC’s report on water rights laws across the nation updated August 2016. 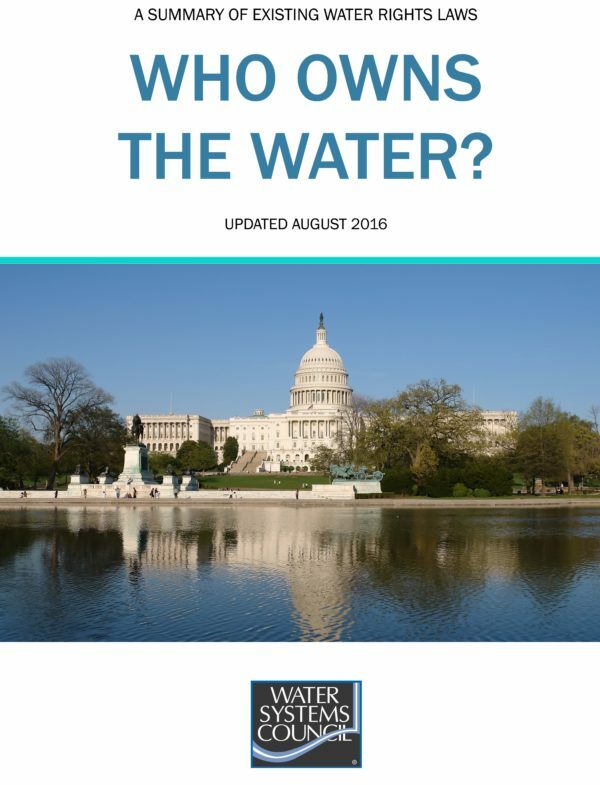 In 2003, Water Systems Council published the first edition of Who Owns the Water? Updated reports were published in October 2005 and again in October 2009. Since 2009, there have been a number of significant developments with respect to groundwater rights across the country. This update includes these new developments. A section on Water Rights and Takings, added in 2009, addresses the court cases addressing the issue of when government regulation “goes too far” and infringes on private property rights. A number of significant cases have been decided since 2009 and have been added to the discussion in this section.